Family Fun at the Hofstra University Museum of Art! There are many ways families can have fun at the Hofstra University Museum of Art. Complete our exhibition Art Quest, participate in one of our public programs, Let’s Explore Backpacks or The Great Art Caper, or use the interactive touch screen kiosk to enhance your visit. 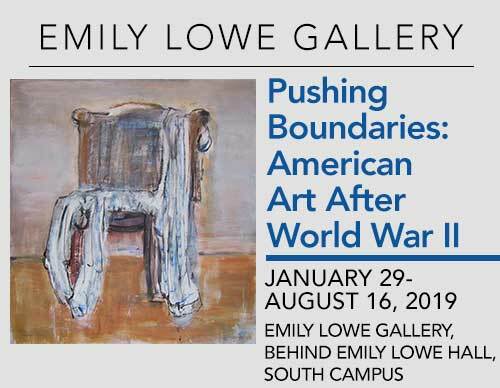 *Pick up all backpack and caper materials during Emily Lowe Gallery open hours. Click here for gallery hours. Return all backpacks and keep your completed art projects to take home. All backpack and caper activities are FREE! For children ages 5-10 with an adult companion. Look, listen, and create together! Bring your child to the Museum to look at and discuss art and then engage in a hands-on art project. Led by Museum educators, each month’s ARTful adventure focuses on a specific theme to explore and be inspired by. Stay after the program to explore the Museum galleries on your own or with new acquaintances, or further your ARTful Adventure with Let’s Explore Backpacks or The Great Art Caper (see below). Purchase snacks or lunch on campus, or bring your own. Please contact us for further details at 516-463-5672. Download the ARTful Adventures Spring 2019 program flyer. Find out how you can attend for FREE through the Museum Passes Program. 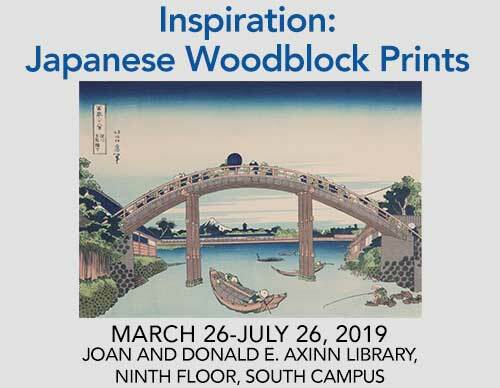 Enhance your visit to the Pushing Boundaries: American Art After World War II exhibition by participating in a FREE Art Quest! Children and their adult companions are invited to solve different puzzles that incorporate works of art featured in the Emily Lowe Gallery. It is a fun way to view these notable works while discovering more about the artists and their art. The Museum’s distinct Let’s Explore Backpacks offer activity-filled ways for children (ages 5-12) and adult companions to explore together the outdoor sculpture collection on the University’s beautiful campus. Children then create their own works of art to take home. Various backpack themes are available. All backpack activities are FREE! Children and adult companions uncover clues to help solve an Art Caper mystery in the outdoor sculpture collection on Hofstra University’s South Campus. Children become detectives and have fun while discovering more about these works. Pick up all backpack and caper activity materials at the Emily Lowe Gallery during open hours year-round until 3 p.m. Return all backpacks by 4 p.m. and keep your completed works of art. All caper activities are FREE!